Nine (9) Filipino personalities who live curious and have excelled in their chosen professions and endeavors, were chosen by National Geographic Channel (NGC) to become its local ambassadors for its “Live Curious” global program. 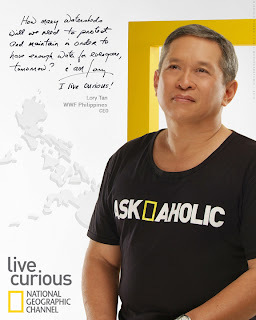 All about exploration, pioneering, and questioning, “Live Curious” captures NGC’s shared spirit of curiosity and inspires people to question what they know, how they view the world, and what drives them forward. 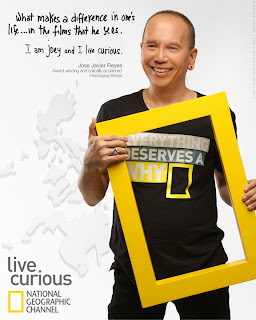 The “Live Curious” ambassadors are filmmaker and writer Joey Reyes, marketing executive Francis Flores, TV host/producer and advocate for children Daphne Oseña-Paez, advertising executive Norman Agatep, and Rock Ed Philippines Founder Gang Badoy, science writer and The Mind Museum curator Maribel Garcia, WWF-Philippines CEO Jose Ma. 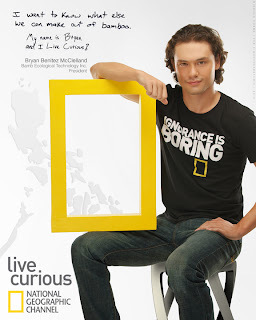 Lorenzo Tan, educational media producer Mitzi Borromeo, and social ecopreneur Bryan Benitez McClelland. 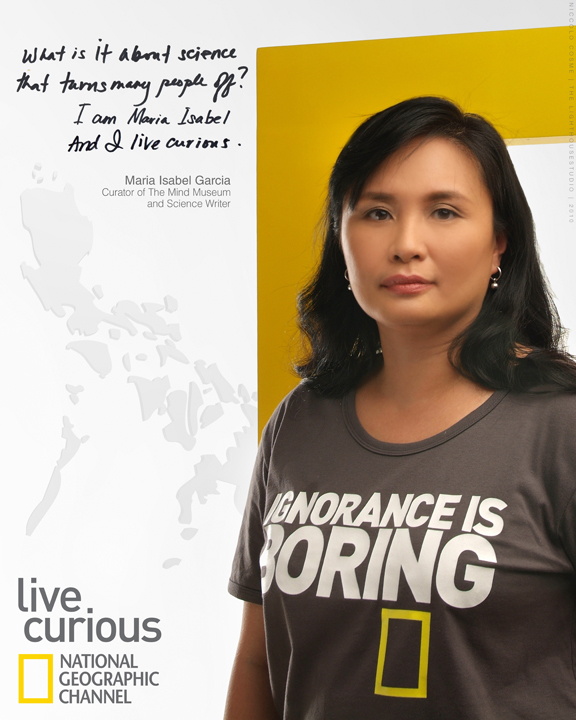 As “Live Curious” ambassadors, these personalities and their varied curiosities are featured in NGC’s “Live Curious” photo exhibit that was unveiled at The Gallery on October 4, 2010 in Greenbelt 5, Ayala Center, Makati City. 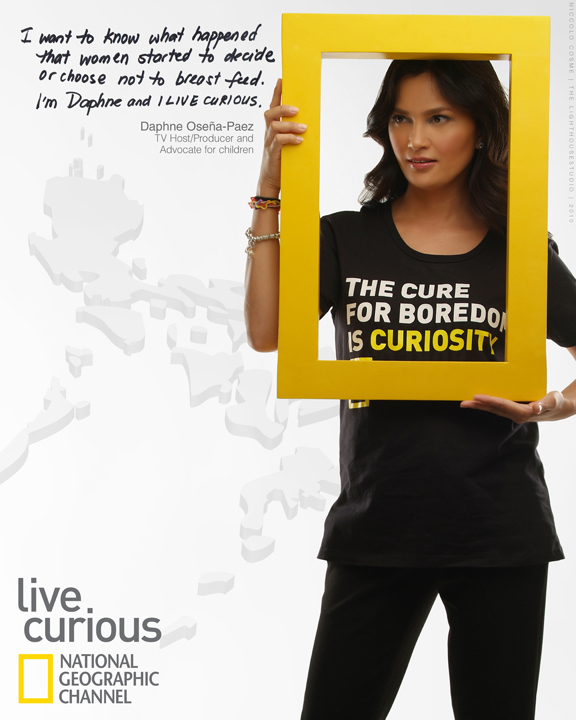 Being curious bridges the gap of ignorance, misinformation and misunderstanding. “We chose to present our ‘Live Curious’ ambassadors through a photo exhibit to promote inquisitiveness as a way of life and give our campaign a local face that Filipinos can relate or identify with,” said Jude Turcuato, FOX International Channels Territory Director. 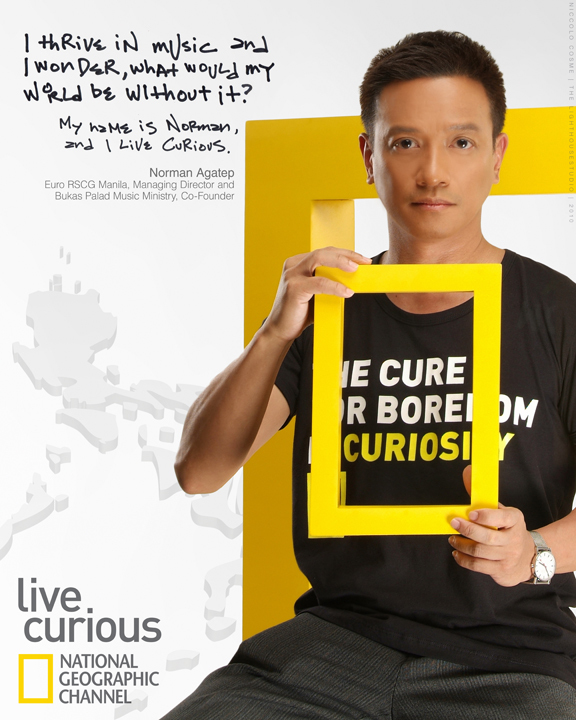 "What the world would be like without music?" 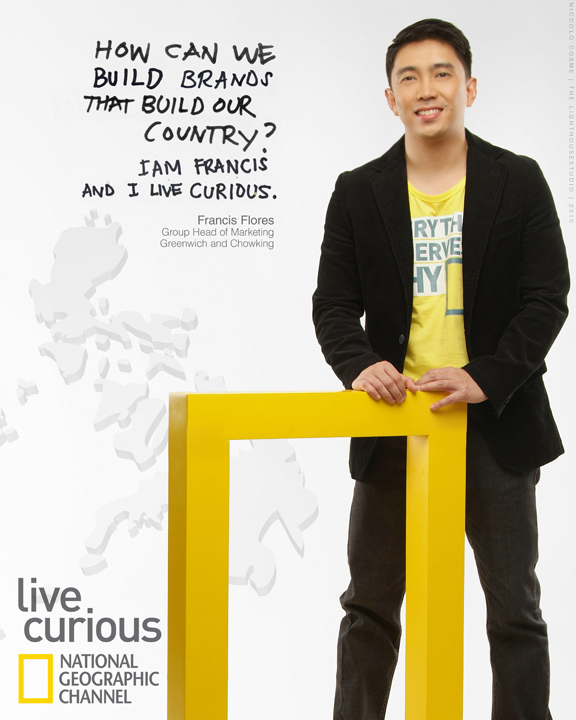 "I'm curious about how Filipinos can make local brands world-class." In partnership with fashion and conceptual photographer Niccolo Cosme, the Makeup Forum, the Ayala Malls and The Mind Museum, the “Live Curious” photo exhibit was on display at Glorietta 4 (October 7-10), Trinoma Mall (October 21-24), and Ayala Center Cebu (November 4-7), Bonifacio High Street (November 13-14). 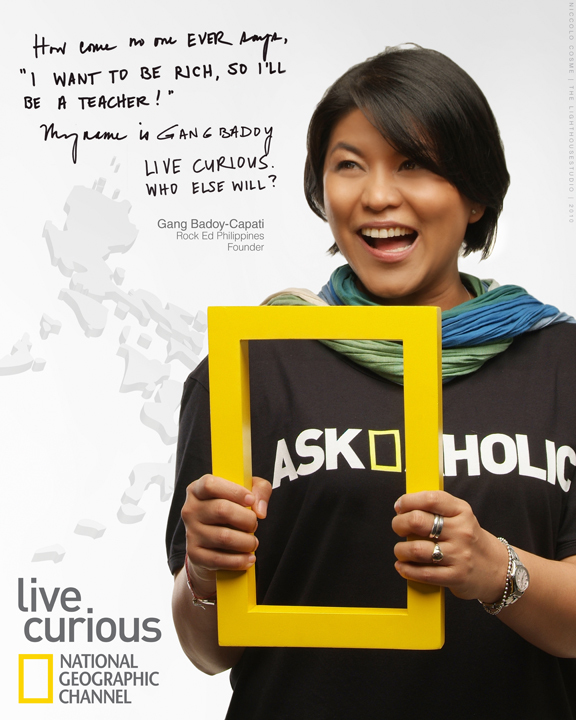 Thanks Kassy for dropping by!